A superbly finished maisonette over the top two floors of this mid terraced period building. 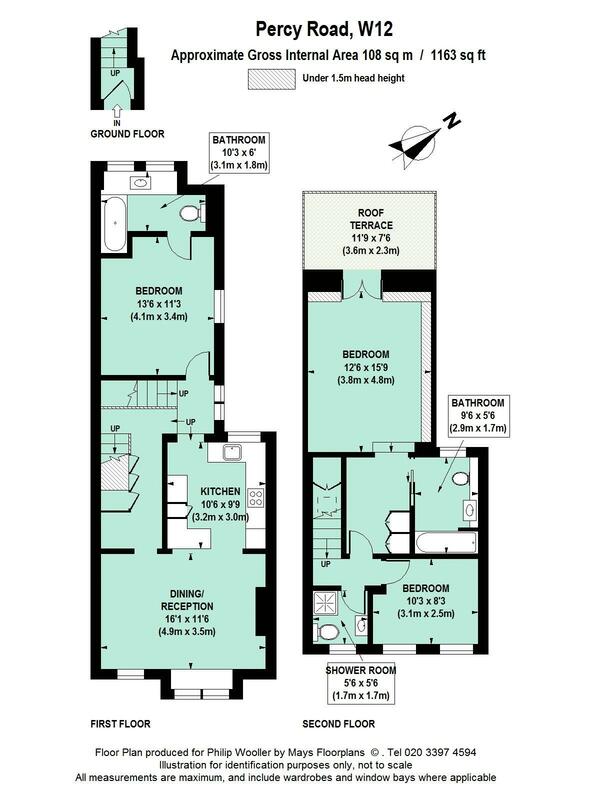 It has a great combination of good proportions and finish, with a well thought out three bed / three bathroom layout. Hard to find - especially with well appointed kitchen / reception space and a west facing roof terrace. This property is available in early August 2018, part furnished if required, and is desirably positioned in this popular street just north of Ravenscourt Park. It is in a quiet family orientated location near the Askew Road and a choice of Ravenscourt, Cathnor and Wendell Parks. Numerous good schools; the local shops and cafes on Askew Road and the shopping and transports hubs of Hammersmith and Westfield are all close to hand. 1163 sq ft / 108 sq m approx.